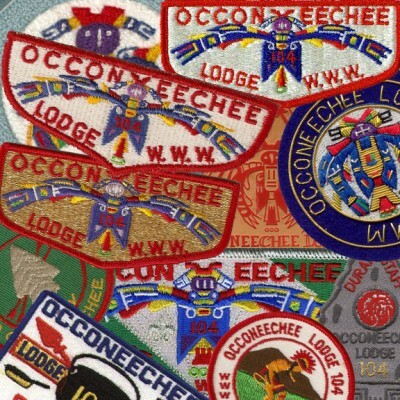 Occoneechee Lodge began as an idea when Claude Humphrey's recognized the potential of the Order of the Arrow at the 1937 National Jamboree. The application for membership was approved on August 30, 1937 and early in 1938 the lodge members voted to utilize the name of the Council. At that time, an arrowhead with two arrows was the totem of the lodge. Later in the 1950's, the totem was changed to the thunderbird. There are 3 Council camps served by Occoneechee Lodge: Camp Durant and Camp Reeves in the Carthage, NC area, and Camp W. D. Campbell on Kerr Lake reservoir.